The Union Cabinet of India has given its nod to the Trafficking of Persons (Prevention, Protection and Rehabilitation) Bill, 2018 for introduction in Parliament. Human Trafficking is considered to be the third largest organised crime that violates basic human right and India has no specific law to deal with this issue. Therefore this bill was prepared to curb this crime which is quite widespread in India yet it is not recognised most of the time. Women and children are most affected by human trafficking. The Bill has been prepared in consultation with line Ministries, Departments, State Governments, NGOs and domain experts. Ministry of WCD received many petitions to be incorporated in the bill. The draft of the bill was consulted in Delhi, Kolkata, Chenni Bombay with various stakeholders including over 60 NGOs. The Bill was examined and discussed by Group bf Ministers also. The bill will address the problem of human trafficking with a point of view of prevention, rescue and rehabilitation. The confidentiality of victims/ witnesses and complainants by not disclosing their identity. Time bound trial and repatriation of the victims - within a period of one year from taking into cognizance. Immediate protection of rescued victims and their rehabilitation. Rehabilitation of the victim which is not contingent upon criminal proceedings being initiated against the accused or the outcome thereof. Rehabilitation Fund created for the first time. Institutional mechanisms at District, State and Central Level which will be responsible for prevention, protection, investigation and rehabilitation work related to trafficking. National Investigation Agency (NIA) will perform the tasks of Anti-Trafficking Bureau at the national level present under the MHA. When approved, this law will make India a leading South Asian nation for combating human trafficking. 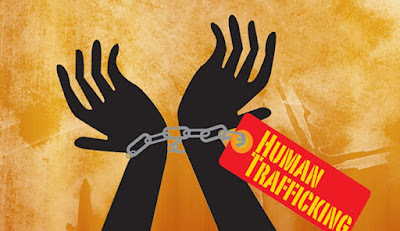 Human trafficking is a growing concern for the world and India has now become an ace country by formulating a comprehensive legislation to tackle the issue. According to Trafficking of Persons Bill, 2018, which of the following will perform the tasks of Anti-Trafficking Bureau at the national level present under the MHA?